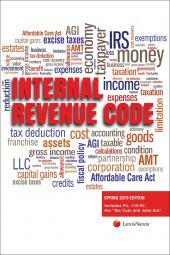 A convenient guide for the Code of Maryland Regulations (COMAR) so you can find the administrative rules you need quickly and easily. 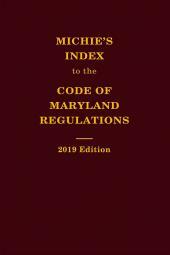 This comprehensive index to the Code of Maryland Regulations (COMAR) allows you to quickly find the Regulations you need when you are researching a particular issue in the Code of Maryland Regulations published by the State of Maryland. 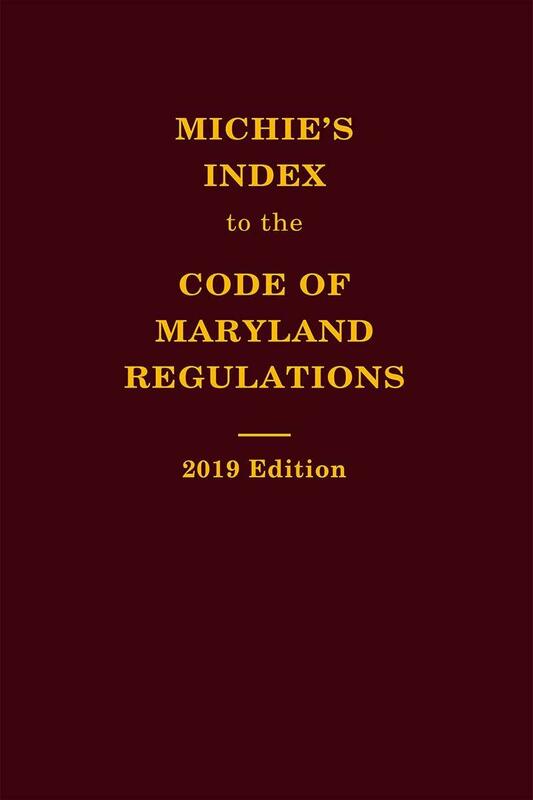 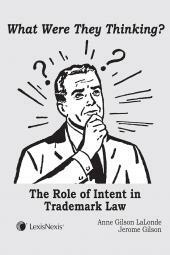 Organized intuitively in a single softcover volume that easily fits in your briefcase, Michie's Index to the Code of Maryland Regulations is updated annually so you can depend on its accuracy. 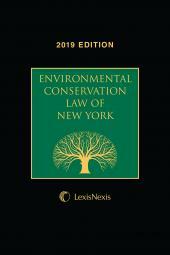 Supercharge your administrative law research with this convenient publication from Michie's and LexisNexis, publishers of Michie's Annotated Code of Maryland, the only code recognized by Maryland courts.